IVMA Legislative Day will begin at 7:00 am with a hearty breakfast and opening remarks at the Embassy Suites Hotel in Des Moines. Shortly after the breakfast/orientation we will head up the hill to the Capitol to meet with legislative leaders from the House and Senate. Use this opportunity to become involved and show our legislators that we support the legislative process and care about issues that affect the veterinary profession. A strong contingent of veterinarians sends a powerful message to legislators. To help make Legislative Day 2019 the most effective possible, please contact your legislators, invite them to lunch at Noon in Room 116 of the Capitol, and discuss issues of importance to the profession. If you need help finding your legislator, go to the Iowa Legislature website at https://www.legis.iowa.gov/Legislators/find.aspx. 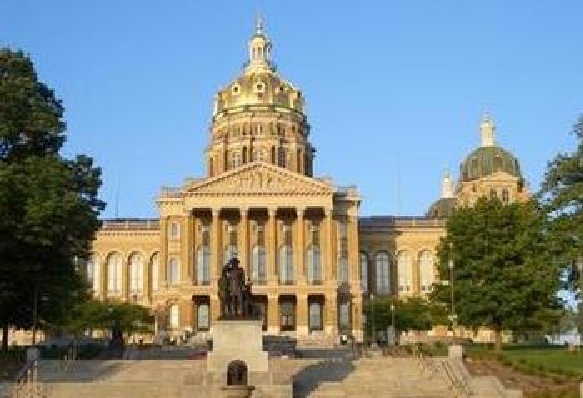 Legislative Day (including breakfast and lunch) is FREE for IVMA members and ISU CVM students. Parking - Parking details will be shared with registrants closer to the date of the event. Directions to Embassy Suites From I-35N or I-80E: Take I-235 East to Penn Avenue exit, make a left turn off the exit ramp going South. When you reach Locust Street, take a right and continue approximately 6 blocks. Embassy Suites is on the left side of the road. From I-35S or I-80W: Take I-235 West to the SE 14th Street exit. Take a left off the exit and continue going South for approximately 3 blocks to Locust Street. Turn right on Locust and go West for 14 blocks. Embassy Suites is on the left.